Charles James Swearingen, age 82, of Rushville, Illinois and more recently a resident the Illinois Veterans Home in Quincy, Illinois passed away at 6:32 p.m. Saturday, August 18, 2018 at Blessing Hospital in Quincy, Illinois. He was born May 30, 1936 in Rushville, Illinois the son of Sterling and Elva Long Swearingen. He married Jenell Petri on December 12, 1966 in Ridgewood, New Jersey and she survives. Mr. Swearingen worked in construction in the New York area for several years, and then worked for Bohn Aluminum in Beardstown. Charles then served as a correctional officer for the Illinois Department of Corrections where he worked at both Pontiac and Galesburg. He attended Rushville schools and graduated from Rushville High School. 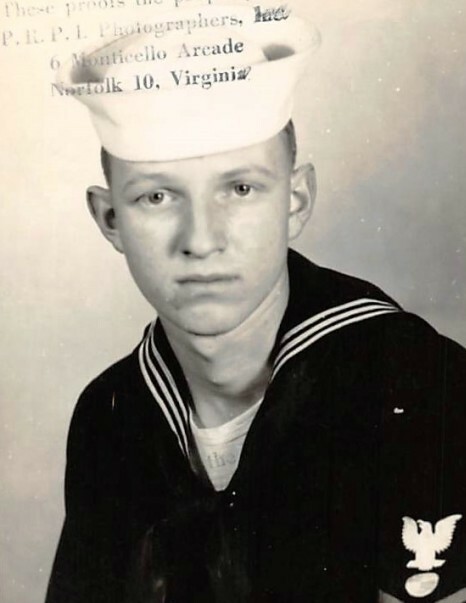 Mr. Swearingen served his country in the United States Navy from 1956 until 1962. He attended both the Rushville Church of the Nazarene and the Rushville Assembly of God. Charles always enjoyed reading and earlier in life especially loved to go hunting with his father. Survivors include his wife Jenell of Rushville. 1 daughter Betty. 2 grandchildren Christopher and Misty. 4 great grandchildren also survive along with 2 sisters LouAnn and Kaye. Funeral services will be held at 2:00 p.m. Wednesday, August 22, 2018 in the Hendricker Funeral Home in Mt. Sterling with Pastor Fred Fritz officiating. Burial will be in the Versailles West Side Cemetery. 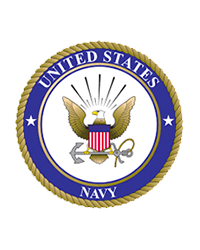 A military service will be conducted at the graveside by the United States Navy Funeral Honors Detail.